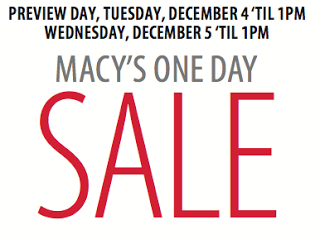 Macy’s has a $10 off a $25 Purchase WOW! Pass! 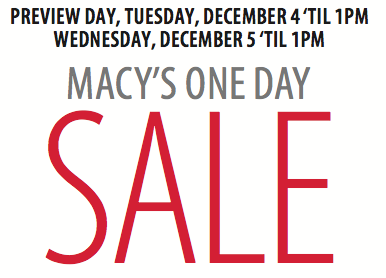 It’s only valid until 1 p.m. on both December 4th and December 5th. This savings pass can be used on sale and clearance apparel and select home items, so you should be able to snag some great deals! Please note that lots of exclusions do apply, so make sure to read the fine print. Limit one coupon per customer.